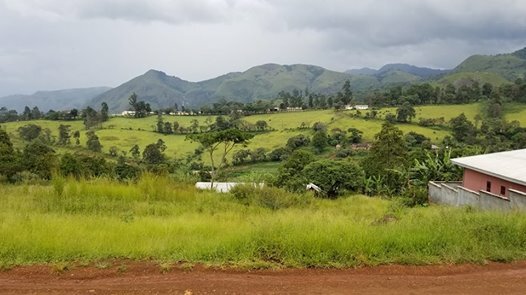 The fighting in Cameroon’s northwest region claimed the life of an American missionary on Tuesday, just two weeks after he arrived with his family in the West Africa conflict zone. Charles Trumann Wesco, 44, was rushed to a hospital in Bamenda after he was shot in the head near Bambui. 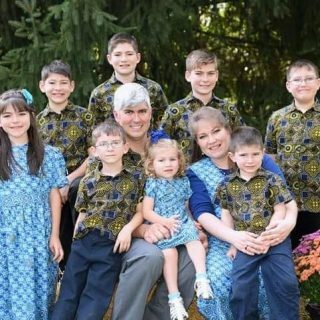 He was making a shopping trip with another missionary and one of his children, both of whom remain safe, but hospital staff said they were unable to save him. Wesco is survived by his wife, Stephanie, and eight children who are all in Cameroon. Jackie Walorski, the U.S. Congress representative for Wesco’s home district in Indiana, also issued a statement. “The news of Charles Wesco’s tragic death is devastating. He dedicated his life to serving the Lord and serving others,” she said. Walorski is familiar with the family but also acquainted with the two-year crisis in Cameroon. She has spoken out on the conflict in the past, appealing for the release of Anglophone human rights lawyer Agbor Balla following his arrest in 2017. He was educated in the U.S. in the district she represents. The United States Department of State confirmed the death of an American citizen but did not release his name. Hundreds have died in Cameroon in what began with activists publicly pressing for reforms in October 2016, led by Cameroonian lawyers, teachers and doctors. They wanted to address the political, economic and social frustrations of Anglophone communities, tied to a cultural rift that dates to the colonial era in the primarily French-speaking nation. The peaceful rallies and protests were met by force, and have spiraled into political violence, deaths, mass detentions, repression of journalists and other human rights issues. It also led to the vision of Ambazonia, a secession movement advanced by armed separatists and conflicts that have sent thousands fleeing. “Is it worth all the blood?” asked Cameroonian-American writer and scholar Patrice Nganang, upon hearing of Wesco’s death and citing the violence that has preceded it. Nganang, a professor at Stony Brook University in New York, was himself arrested and held by President Paul Biya’s regime last year. Biya has led Cameroon since 1982 and was just re-elected to another seven-year term.